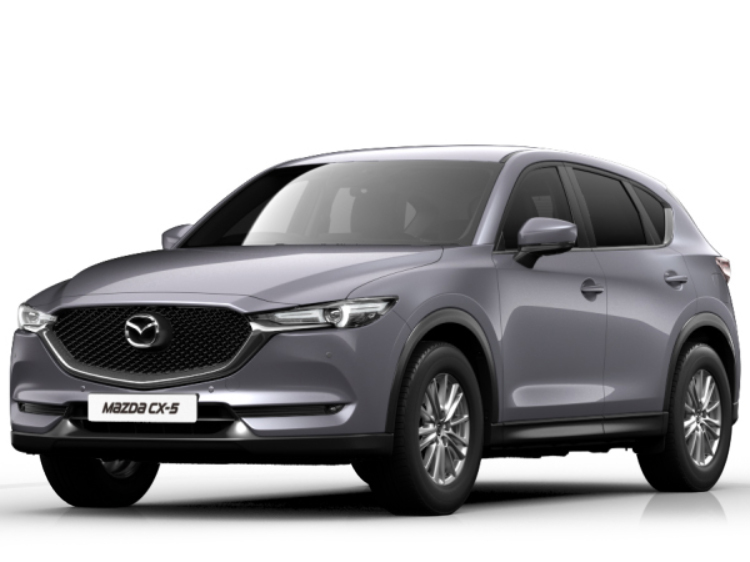 The Mazda CX-5 you searched for (GM67GLK) is no longer in stock. Here are more cars which might be of interest. Fitted with Bluetooth connectivity with voice control, Smart City Brake Support - SCBS, Rain sensing front wipers, Adjustable speed limiter, Cruise control, Front and Rear parking sensor, Touchscreen with multimedia commander and Aha and Stitcher app, Navigation system, Bluetooth audio streaming, Audio system and 7 speakers, DAB Digital radio, daytime running lights, front fog lights, Isofix system on outer rear seats and much more! Well maintained CX-5 with Mazda Digital Service History and recently serviced end of March. Finished in 'Jet Black' Paint and 17 inch Alloy Wheels our Mazda CX-5 comes with specification including Bluetooth connectivity with voice control, Cruise control, Speed limiter, Front and rear parking sensors, Hill hold assist, 7inch touchscreen with multimedia commander and Aha and Stitcher app, Integrated navigation system, 6 speakers, DAB Digital radio, Steering wheel mounted audio/cruise controls, USB/iPod/auxiliary input connections, Automatic headlights with dusk sensor, Daytime running lights, Rain sensor, Rear privacy glass, Isofix system on outer rear seats and much more! Our practical SUV offers plenty of features including Smart City Brake Support - SCBS, has low mileage and qualifies for Warranty 4 Life! Finished in 'Sonic Silver' paint and 19inch Gunmetal Alloy Wheels our Mazda CX-5 comes with specification including Reversing camera, Front and rear parking sensors, Bluetooth connectivity with voice control, Cruise control, Speed limiter, Smart City Brake Support - SCBS, Hill hold assist, 7inch touchscreen with multimedia commander and Aha and Stitcher app, Integrated navigation system, Heated front seats, DAB Digital radio, Premium bose audio system with 9 speakers and digital amplifier, LED daytime running lights, LED front fog lights, Automatic headlights with dusk sensor, Isofix system on outer rear seats and much more! Perfect SUV for families and adventures! It comes loaded with brilliant features including 8 way electric driver seat with lumbar support and memory and Keyless entry. Mazda CX-5 comes with features including Bluetooth connectivity with voice control, Reversing camera, Speed limiter, Cruise control, Front and rear parking sensors, Smart City Brake Support - SCBS, touchscreen with multimedia commander Integrated navigation system, DAB Digital radio, Premium bose audio system, LED daytime running lights, LED front fog lights, Keyless entry, 8 way electric driver seat with lumbar support and memory, Heated front seats, Isofix system on outer rear seats and much more! Ask about our unique Warranty4Life with comprehensive AA cover on qualifying vehicles subject to terms and conditions. Fitted with Bluetooth connectivity with voice control, Smart City Brake Support - SCBS, Rain sensing front wipers, Adjustable speed limiter, Cruise control, Hill hold assist, Blind Spot Monitoring, Lane departure warning system, Front and Rear parking sensor, 7inch touchscreen with multimedia commander and Aha and Stitcher app, Head up Display, Navigation system, Bluetooth audio streaming, Audio system and 7 speakers, DAB Digital radio, daytime running lights, front fog lights, Isofix system on outer rear seats and much more! Demonstrator Vehicle available for sale end of April - call us to confirm exact mileage. Finished in 'Soul Crystal Red' Paint and 19inch Silver Alloy Wheels our Mazda CX-5 comes with standard specification including Apple car play/Android Auto, Bluetooth connectivity with voice control, Advanced blind spot monitor with rear cross traffic alert, Collision prevention assist, Cruise control, Forward collision warning, Front and rear parking sensors, Hill hold assist, Lane departure warning system, Lane keep assist, Reversing camera, Traffic sign recognition, Heated front seats, Heated steering wheel, 7inch touchscreen with multimedia commander and Aha and Stitcher app, Colour head up display, Integrated navigation system, Bluetooth audio streaming, Bose premium sound system with 10 speakers, DAB Digital radio, LED Headlights, LED rear lights, LED third brake light and lots more! Stunning SUV loaded with plenty of features! Save some money as this is part of our 'Nearly New' range and offers a big discount! Mileage may vary. Demonstrator Model (Mileage subject to change) Mazda CX-5 Fitted with Stone leather upgrade, SAFETY PACK Sports Alloys, Heated Front Seats, Touch Screen Media system with Sat Nav, Connections for Bluetooth, USB and AUX, BOSE Sound System, Full Electric Windows, Remote Central Locking, Front and Rear Parking Sensors, Rear View Camera, Automatic Wipers and Lights, Auto Air conditioning, Cruise Control with Speed Limiter, Steering Controls, Power Folding Mirrors, Heads up Display. Top of the range Mazda CX-5 AWD with Stone Leather upgrade and Safety Pack too.